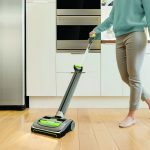 We can honestly say that cleaning the home has never been easier, more convenient and as modern as it is with these two devices from Vorwerk. 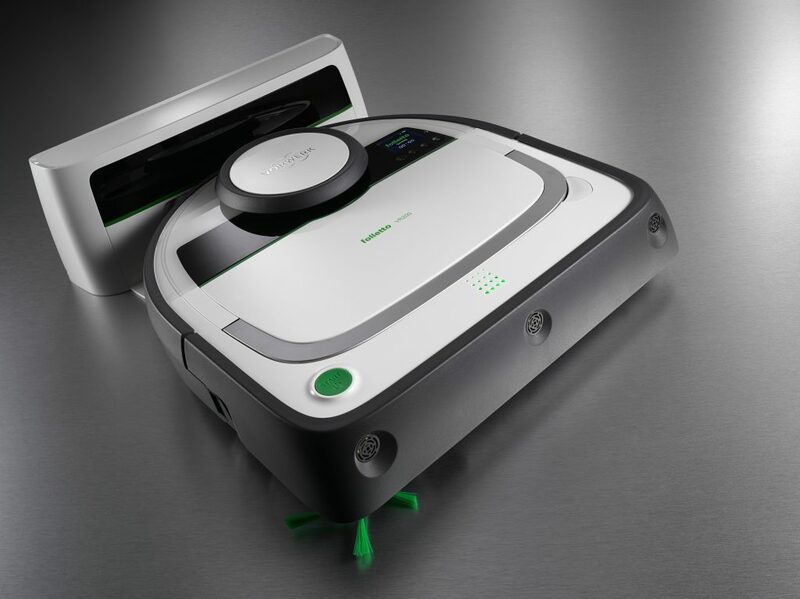 Introducing the Kobold VR200 Robot Vacuum Cleaner (£749) and the Kobold VG100 Window Cleaner (£249), two of the smartest devices you can add to your home this Autumn. 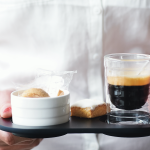 These products are not cheap and come in at a total of approximately £1000 for the pair, but they are luxuries we can recommend to change your life. This sleek little device is a robotic vacuum cleaner is breathtakingly clever. Utilising 60-degree laser navigation, the device scans rooms over 1,800 times a second, therefore allowing for precision mapping of each room and this is then committed to the device memory. 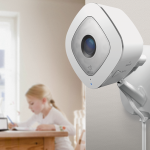 This means that the VR200 can navigate any room without causing damage or knocking into things. But that’s not all! Once the VR200 has mapped the room, it then approaches cleaning in a lane by lane movement. This means it will clean the exterior of the room and then move inwards moving in lanes to ensure that each area is cleaned. 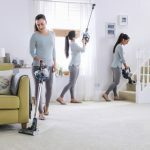 The vacuum functionality itself is aided by a rotating brush to the side of the device and this ensures that all nooks and crannies are cleaned on the go. Within the device is a high performance filter and tray, which can be easily emptied when full. The device is also square, allowing it to move into corners in a way that other round devices cannot. Once the clean is complete, the device navigates itself back to the base station, where it automatically recharges, ready for the next use. A full charge can give you the ability to clean up to 120sqm on a single charge. This is typically more than enough for the average sized house. A handy schedule function means you can set the VR200 to clean the home while out at work. This means you can create a bespoke programme of cleaning for the device and you will not even have to be home for cleaning to occur. Other great features include the neat climb assist, which makes it easy to overcome obstacles of up to 2cm, such as doormats. Should you wish to, you can also lay down magnetic strips (we would suggest under the carpet), and the device will avoid these strips and will not pass over them. This is great for confining the VR200 to certain areas. You may be asking, “what if I spill something in a small area and I don’t want to send the device on the full programme?”. If so, you will be happy to hear the VR200 can conduct spot cleaning too. The spot cleaning function requires you to place the device down and the device will then vacuum an area of about 1.5 x 1.2. This is great for small spills and ensure the device is a great all rounder. Plus, the handy Eco-Option gives you up to 90 minutes with one battery charge, therefore allowing for more of the house to receive a clean and all areas to be covered. The device may seem like an extravagance for almost £750, but the freedom and results it gives you is invaluable. The clean is great on floors and tiles. But there could be a little more suction for areas such as deep carpets or rugs. 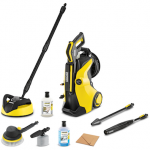 All in all, this is the ideal device for the modern apartment and we would recommend this to anyone looking to save time on cleaning. Fabulous! It might be hard to conceive a humble window cleaner as a luxury; however, when one is just shy of £250, you may be a little more inclined to believe it. 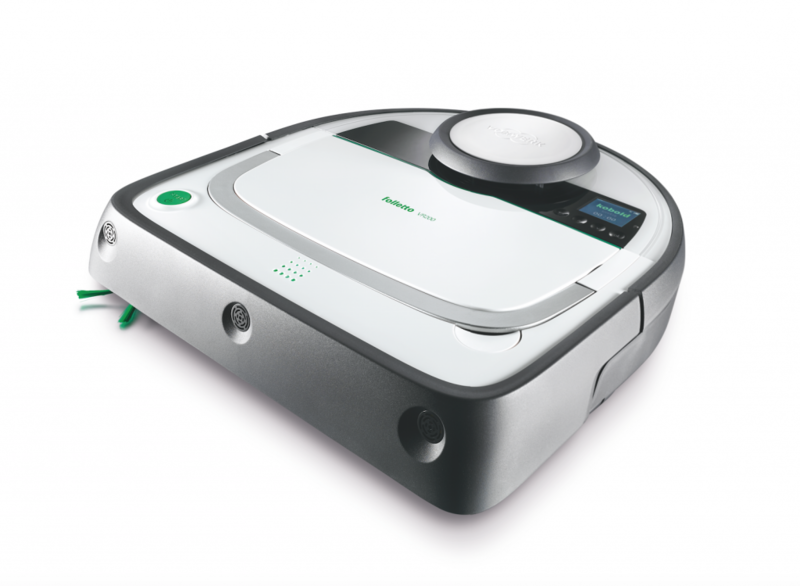 This Kobold VG100 from Vorwerk is not just a window cleaner, but it is one of the most efficient and highly performing devices of its kind we have tried. If you are looking for an easy to use device which cleans windows perfectly and with just one hand, then this is for you. To arm the device simply add water and cleaning fluid, power up the motor and glide the VG100 over up to 20sqm of glass on one 30 minute charge. The results are absolutely top notch. The microfibre cloths work with the cleaning fluid to generate a streak-free finish. Simply press the on button and slowly draw the device down the window for crystal clear results. 20 m2 of glass surface. The tank consists of 2 individual chambers – the first contains fresh water and cleaning agent and the second contains the vacuumed dirty water. Afterwards, just clean the cloth in the washing machine at 60° and charge the battery ready for next time. We were so impressed by the results, we actually asked to visit a family friends house so we could use it again. Dirt, marks and grime all disappear with the simplest of movements. Once again, this device from Vorkwerk exceeded our expectations and set a new precedence for home cleaning. 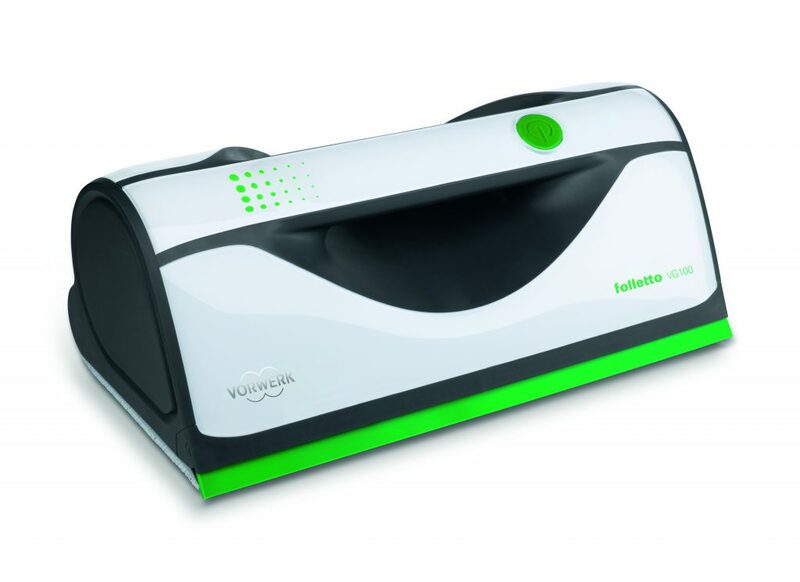 In terms of topping up, the VG100 can be filled with water and cleaning concentrate in a flash.